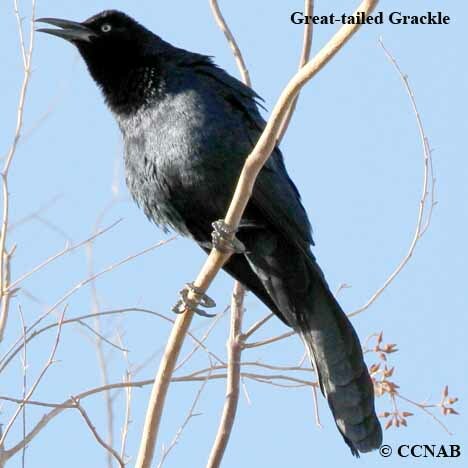 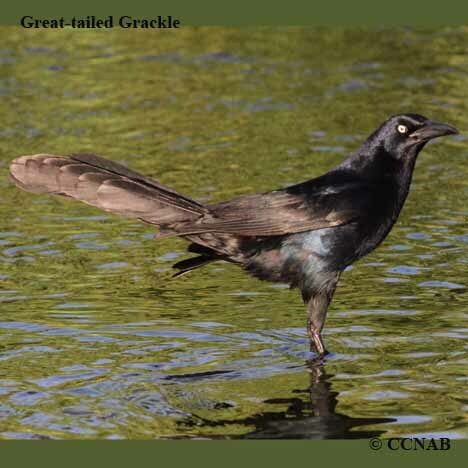 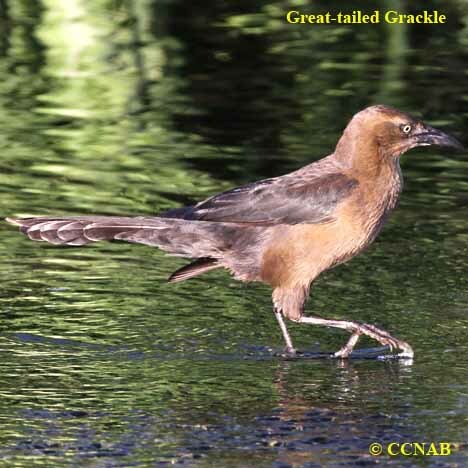 The Great-tailed Grackle is the largest member of the grackle family. 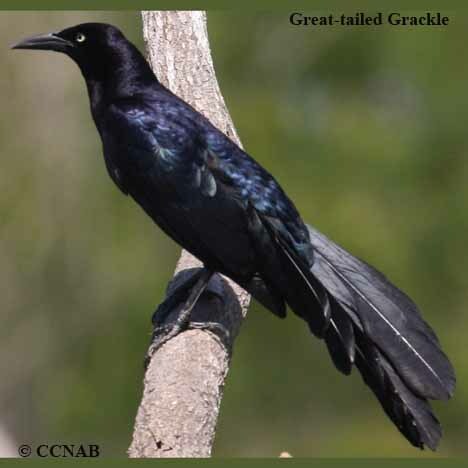 This bird is longer than a crow and can be heard from some distances with its cries and calls as it displays in its brilliant blue plumage. 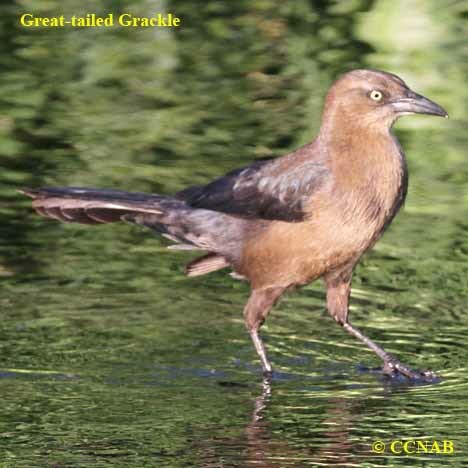 It is observed across most of the southern states, and right into southern Mexico.